The County of Balmore is actively recruiting. Whether you are pledged aristocracy, settler, trader or adventurer you are welcome to join our County in the Duchy of Anor. Be sure to click the link at the bottom of the page to join our Discord channel as this is our main form of communication. The County of Balmore is seeking mature players who would be interested in creating an immersive environment for gameplay. If you are a fan of settings such as Arthurian legend, Lord of the Rings, Game of Thrones, or Elder Scrolls due to their richness and depth then this is the Duchy for you. The Sun never sets on Anor! 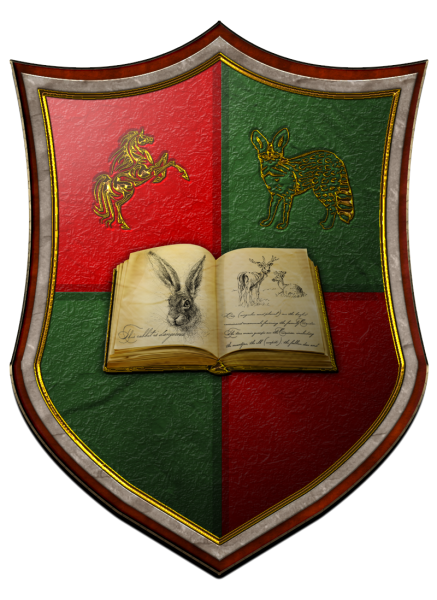 As a integral member of the Duchy of Anor, we embrace a multi-cultural society, where all are welcome to live freely under the protection of the realm. The Duchy is primarily a protected role play Duchy although role play is not a necessity. We currently have players from multiple nationalities from across the globe. We have many organizations located within our county such as the Anorian Guard, Masonic Order, Anorian Guilds of Industry, Anorian Agricultural Society and the Virtori faith to name a few. Link on our website, forum post or discord link to find out more. Game wardens serve in a major law enforcement capacity and have full law enforcement powers to enforce laws and arrest violators within Balmore's borders. For the most part candidates applying to be a game warden do not required prior work experience, although an affinity with nature is required. Politiek / Re: Brexit, heeft het enig nut voor de engelsen? Developer posts / Question about griefing in Discord chat. 1. You cannot drag around bodies without a bounty token which allows you to tie up the culprit and bring him to the officials. Bringing further away from that destination will make the ties loosen for escape. 2. You cannot be locked in buildings. Doors can always be opened from the inside regardless of what lock there is on it. 3. Characters cannot block doorways because the way it works is that you can push aside other characters or similar to pass through. 4. The death toll of spirit you pay per death is restricted to once every 2.5 hours and once every 10 hours on the battlefield. 5. Buildings cannot easily be destroyed using simple tools such as swords. You usually need siege engines. A torch or fire arrow won't be able to ignite a house, nor will it spread. The idea is to make the attacker spend about as much effort as it has taken to build the structure. o While griefing in it's most negative way like described above isn't encouraged by the developers, criminal activity can be interesting for the story if it doesn't happen all over the world in pure chaos. So instead of forbidding interesting stories of bandits etc. the idea is to create a world where you choose your actions wisely. Deterrents are in place with laws that can be written by players or NPCs and enforced by characters. To be infamous in CoE has got direct negative impacts because in CoE players can actually affect one another's lives. That gives righteous characters a way to defend themselves against criminals and cast out those who harm societies. The criminals will have a harder time outside of the settlements because of survival mechanics. In the end to be a good criminal you'll have to play in a way that makes you an interesting element of the world - an antagonist - who can be accounted for his crimes. Upon having caught and found guilty for a crime, the culprit will be punished in spirit loss - no less than what damage he has caused. Further deterrents are reputation and fame where the more well-known you are for your crimes or the victim is, the higher the spirit loss will be upon spirit walking (non-permanent death if you make it back to your body in time). Witnesses can testify in court and detectives can find evidence of crimes at the crime scene. Every new life costs rl money and new, young characters are usually wearker than those they want to go after. Combat in CoE is not largely gear based but skill based. That means you cannot easily 1v3 people, and in general numbers will matter. A society of peaceful minds will have good chance against some few criminals. At the point where you're talking about a big number of criminals, it actually turns into organized crime and a lot has to be taken care of: Survival system (hunger, thirst, fatigue), wounds, predators, harsh climate, resource management, skill training, timing, observation etc. which creates an interesting story, gives aspiring heroes an oportunity to safe people and cannot be called griefing anymore imo. Family members will be able to sense when you're spirit walking and come to your help. The direct chat system you've got with them makes this a lot easier. They've got incentive that you're well up and happy because reputation is shared among family members. Do you want to attack that person on the road as a bandit? + It's fun to be a bandit! - It might be hard to tell if he's carrying anything of value (hidden pouches, long mantle that doesn't reveal much). - He might have hired guards. - After this you'll have to move to evade the law enforcers and their tracking skills might find your secret hideout you've spent so much effort for to hide and build into something special. - If someone sees through your potential fake identity or disguise, your spirit loss will be stacked upon your true identity, which makes getting caught very costly and dangerous. - That person might be influential and not the person to leave you off the hook after having been robbed once. His friends and resources might be daunting to fight against. + He looks weak, it could be easy money. - Then again he could hide his skills and his body shape is difficult to make out with the clothes he's wearing. - Attacking often in this area will cause the local barons and sheriff as well as perhaps even the duke to look into increasing patrols and law enforcement efforts in the area. Moving away is troublesome. + If you've got good reason to believe there's a lot of reward in for you. E.g. you've got reliable information that the caravan carries a lot of gold or collected taxes with not too many guards. Or someone pays you very well for a contract they're carrying with them. - Then again this might be a bait of a cunning sheriff who tries to lure out you and your buddies. They might be hiding in the 3rd row to make a move to capture you as soon as you step out to stop the caravan. Being a bandit is thrilling as an experience, but you should be smart about it. For sure a caravan should spend money on it to be better safe than sorry, but going without guards and in low profile might be more profitable and draw less attention. Because - you know - gossip is supported by in-game mechanics (information objects that are traded between characters) and an NPC might have said too much about that fancy big caravan that's coming this or that way. - Obvious malicious griefing that would make pretty much everyone quit is not possible by design (as much as players in play-testing and developers in design can make out). - Other form of conflict should make for a good story and therefore add content and suspense: A world where anything can happen is more compelling than a stale dead world where you know what's going to happen. - A lot of systems and tools will be in place to allow peaceful minded and righteous players to seek help, unite and defend themselves. Ruling nobility will be very interested in knowing their people as safe as they can make them to be for financial groth, because NPCs and players are drawn to safe areas for trade, craft and other valuable services - which they can profit from through taxes and a healthy environment.